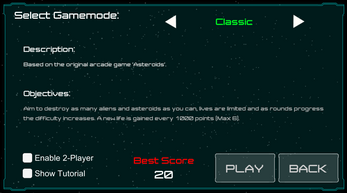 Asteroids 2.0 is a throwback to the basic 2D arcade game 'Asteroids' by Atari. 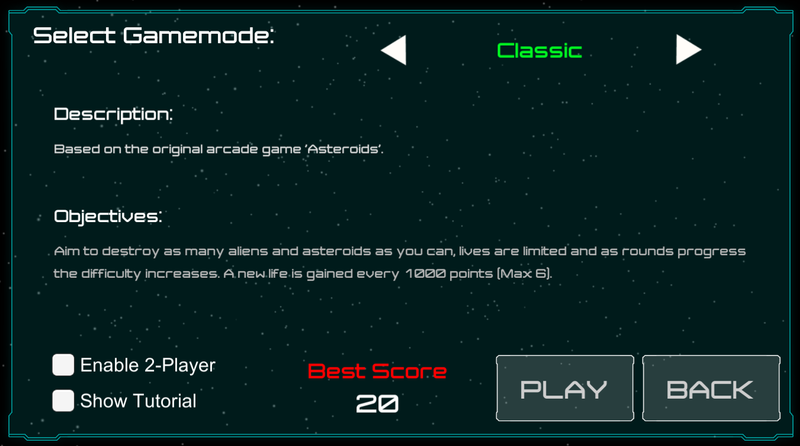 All listed gamemodes are available to play with a 2nd player. 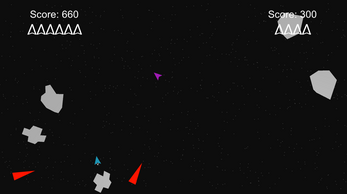 The player survives rounds of asteroids (also featuring the 'Shooting Asteroids') and tries to survive as long as possible. 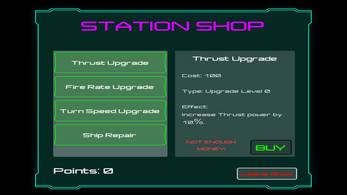 Points earned can be spent at space station shops that are passed at regular intervals. 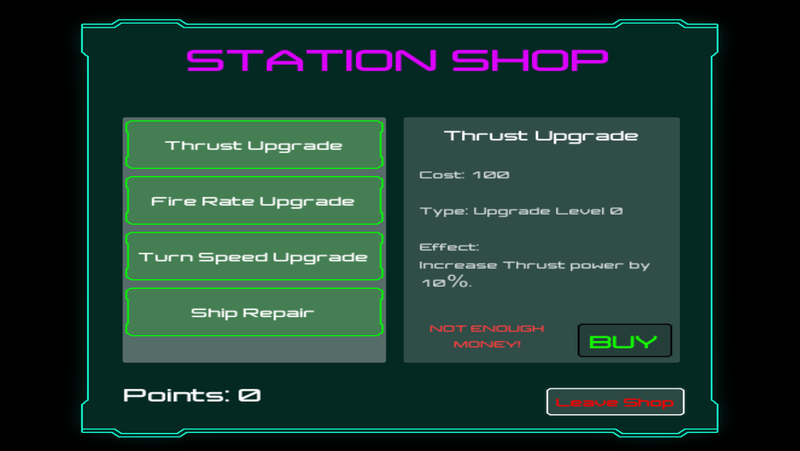 Ships can be upgraded and repaired for the adversities ahead. 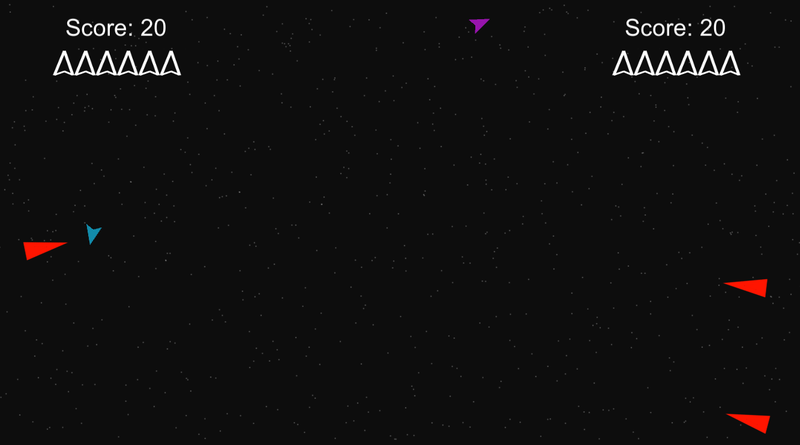 Dodgeball but with shooting asteroids, survive for as long as possible.